Everyone’s landing spot for BJ’s Restaurant & Brewhouse menu prices. BJ’s Restaurant & Brewhouse is the place for people looking for great fun, relaxing atmosphere, and of course, delicious food. Whether you and your friends want to celebrate the night with some craft beer, or you look forward to dining on the most delectable pizza selections with family members – BJ’s Restaurant is your best option. Below are the latest BJ’s Restaurant and Brewhouse menu prices. BJ’s restaurant is proud of top-quality food items served by cheerful staff in a casual and fun setting. The restaurant menu offers its own unique spin on everyone’s favorite dishes, such as salads, deep dish pizzas, pastas, sandwiches, steaks, and baby back ribs. Everything becomes perfect if eaten together with BJ’s signature handcrafted beer. You are assured that as a guest, you enjoy the finest dining experience that BJ’s Restaurant can possibly offer. You will be amazed by its superb food and drinks available at prices that are so affordable. For example, BJ’s yummy Brewhouse Burgers can be enjoyed for a mere $7.50. And with tasty treats like Mahi-Mahi Tacos at $8.95 and House Salad at $6.25, what more can you ask for? 1978 was the year when two friends and entrepreneurs opened the first BJ’s Restaurant in Santa Ana, California – simply because they were eager to share their great-tasting deep dish pizza to everybody. The pizza restaurant became an instant hit. In 1996, seven more restaurants were added to BJ’s growing family. It was also the year when its first brewery began producing deliciously fine, handcrafted beer for its customers. 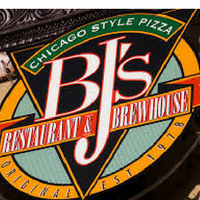 For more information about BJ’s Restaurant, visit their official website.